What do Kendall Jenner, Hailey Baldwin, Chrissy Teigen and Rosie Huntington-Whiteley all have in common? They all have mega-hairstylist Jen Atkin on speed dial. Not only that, but they’ve probably all at some point worn a Jen Atkin x Chloe + Isabel hair accessory. Whenever we’ve ever chatted to Atkin in the past, she’s touted the accessory line as her go-to for a quick and easy hair update. Greasy hair? Slick it back and pop in some pearl pins. Topknot? Update it with a bun cuff. Hair accessories are effortless and easy, plus they leave you with hair that looks polished (a hard thing to achieve without a lot of time or a hairstylist at hand). Not sure which hair accessory is right for your festive look? Let us introduce you to the range. 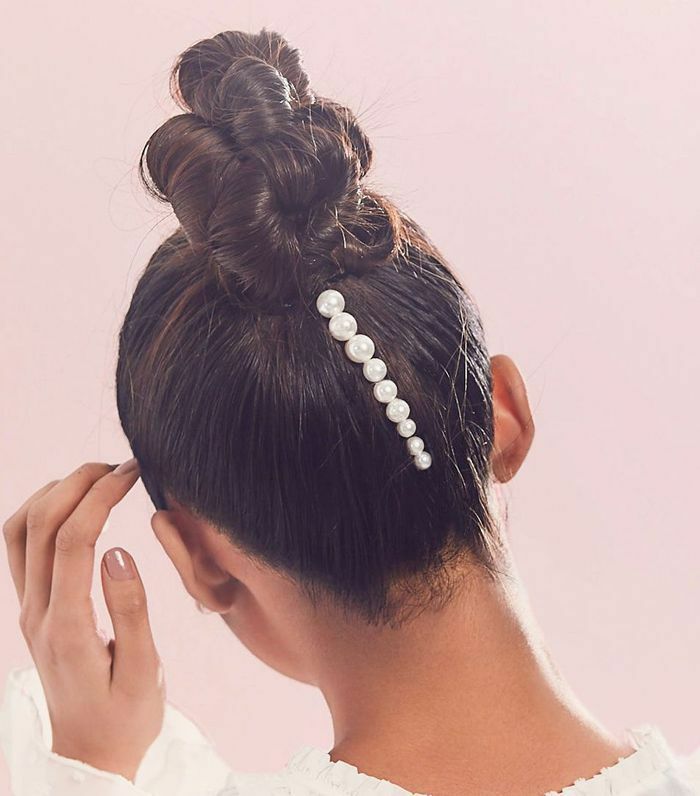 Available at Cult Beauty, there’s the hairstylist’s famous bun cuff (as often seen on Khloé Kardashian) the leaf hair comb (perfect for that boho vibe) and pearl pin sets (hello, brides). 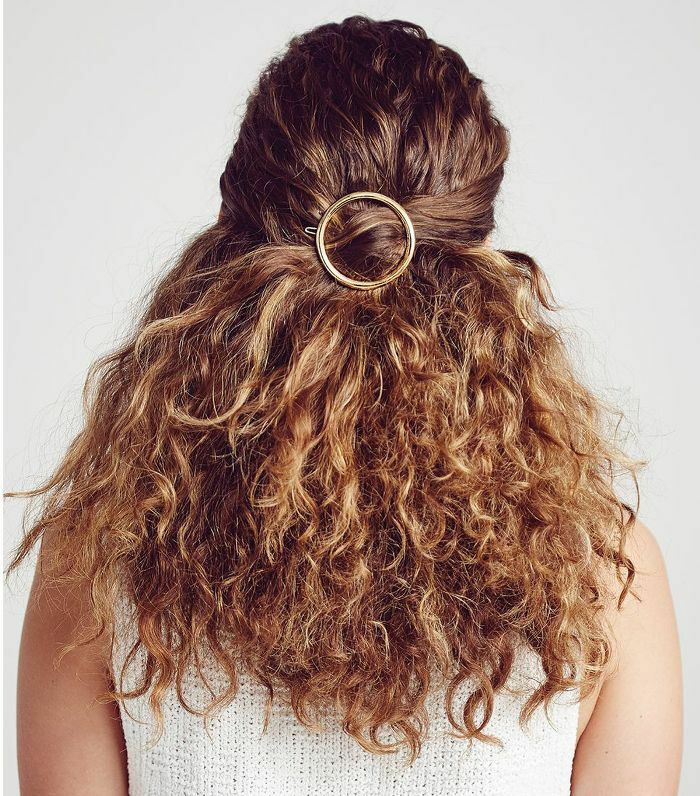 And as we’ve seen over at the S/S 19 fashion weeks, hair accessories are a set to continue to be a big trend for next season. So it’s never been a better time to invest in a cuff or two. Not sure where to start? Here are our favourites from the collection. This is the exact one seen on Khloé Kardashian. 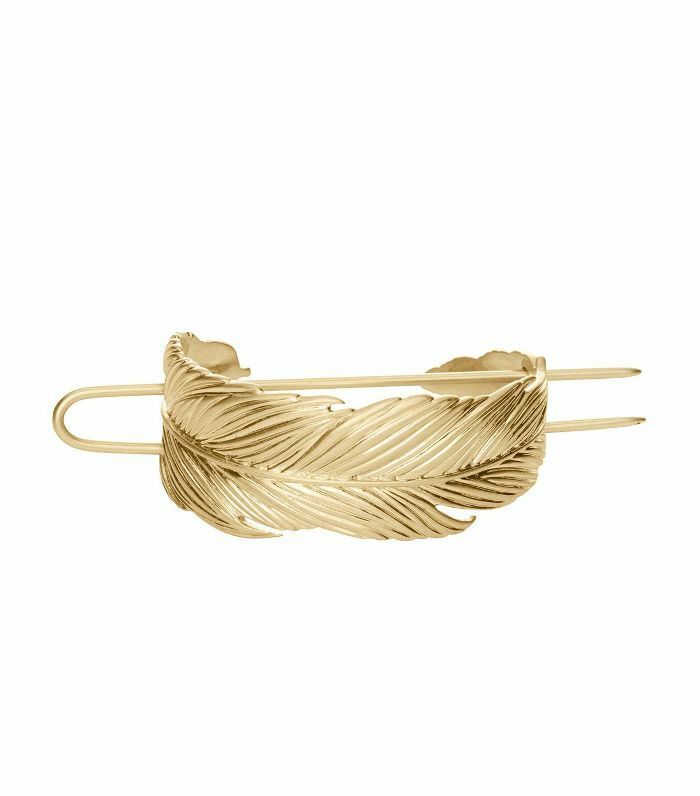 The Feather Bun Cuff is perfect for polishing up your topknot in seconds. It can also be worn as a bracelet. Handy! The ideal embellishment for a half up, half down hairstyle. Wear alone or layer them up for a graphic look. The easiest way to add an effortlessly elegant, bohemian vibe? Slide this hair comb amongst your waves. 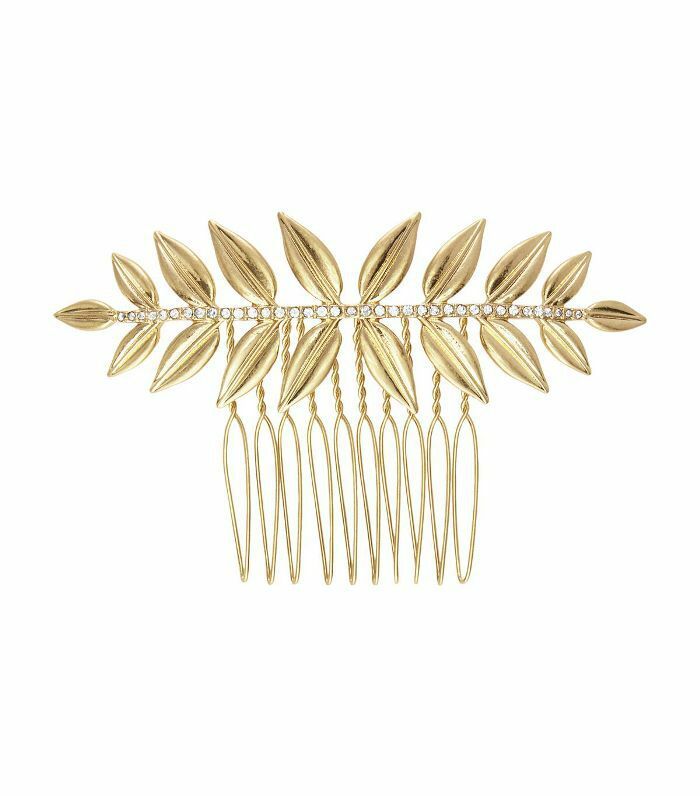 This is one of the most versatile hair accessories around. These pearl pins can be added to topknots, plaits, loose waves or ponytails to give an instant über-chic finish.